So this is Tsiolkovsky's rocket equation. Don't get hung up on the details; the basic fact is that there's an exponential curve with "mass fraction" on the Y and "change in speed" on the X. In other words, the greater proportion of your rocket is 'gas' the more velocity you get. "Velocity" in this case being "that which gets you in orbit or escape velocity." People with a casual familiarity with rockets don't really get that your average orbital launcher is a giant tube of propellent with a flyspeck of useful payload at the end. The Saturn V, for example, is a skyscraper full of kerosene and LOX that flings the equivalent of a VW Beetle at the moon. So the real goal has always been figuring out a way to leave most of that Tsiolkovsky curve somewhere other than "on the rocket." Rockets don't go up, by the way. They go over. They have to go up until the air is thin enough to go over, but once they're up there, they roll over nearly 90 degrees. It isn't altitude that gets you into orbit, it's speed relative to rest position. That whole "3-2-1 blastoff" big pyre of smoke thing is the first stage lifting the other stages up and over to the point where it can head out into the deep blue yonder. 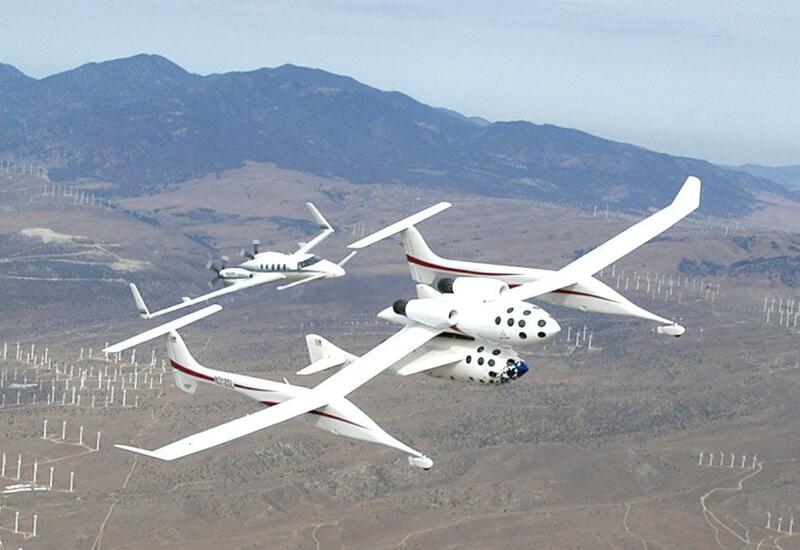 That's the Scaled Composites SpaceShip One and White Knight, a combo launcher designed to ferry tourists up to suborbital so they can spend a few minutes experiencing zero gravity. Something like 80% of Scaled's work is classified. They don't publicize this but they've been doing weird stuff for the Air Force for decades. So the concept isn't new... what's new is Paul Allen's decision to fund really big rockets. It isn't the concept that ooks me out. It's that hope is about only thing keeping the bodies from spindling around that wing, and that the violently-detaching load is right where the stress point is the greatest. I mean, that thing banks too tight in a turn and one tail is going to have more lift than the other and the whole plane is experiencing torsion around its drop point. Them be some brave pilots. I got to see Space Ship One and White Knight's X-Prize winning flight, live, in the desert. It was a thing to behold, for sure. The key thing is that Space Ship One's engine doesn't fire until it detaches from White Knight. It free-falls for a bit while White Knight gets out of the way, and then the rockets fire and it WHOOOSHES away. One problem is that when you drop it you go from a dynamic load of "the second and third stage of a satellite-launching rocket" to "nothing" which I'm sure they're engineered for but it's not a task I really want. Another problem is that those big dumb pontoons the people are in have enough aviation fuel to get a "second and third stage of a satellite-launching rocket" up to 35,000 feet. Stratolaunch is, from an engine standpoint, three Boeing 777s. Assume it launches halfway through its mission profile, having burned two thirds of its gas, that's about 120 tons of avgas you're burning. Sixty tons per pontoon. About half a 777 worth of gas attached to that wing, twice. 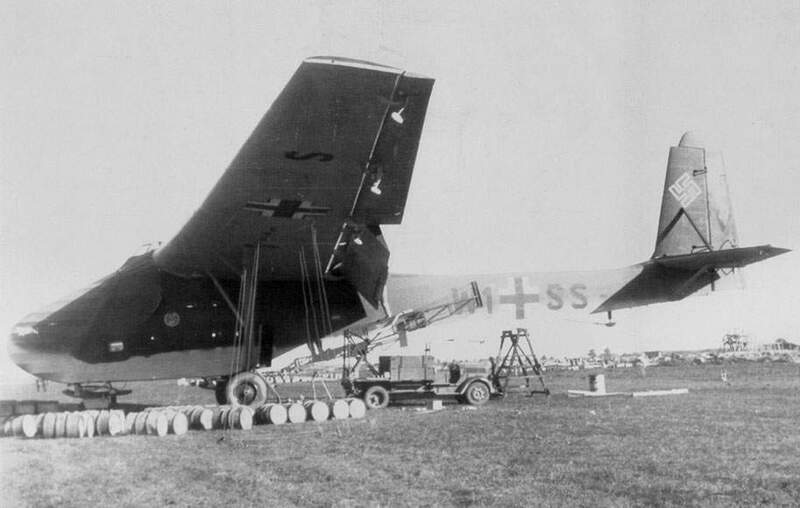 It's a pair of Heinkel HE-111 bombers glommed together to haul this ridiculously large cargo glider into flight. The engine configuration was made up of 5 x Junkers Jumo 211F 12-cylinder, liquid-cooled, inverted Vee engines of up to 1,340 horsepower each. These engines were fitted across five individual nacelles along the wing leading edge, three found at the center wing chord and two held outboard to either side of their respective fuselage in the usual way. 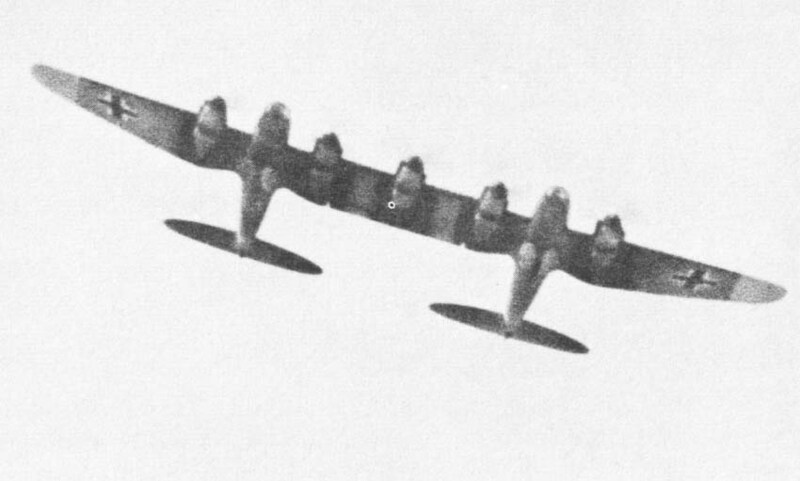 Despite this multi-engined layout, the He 111 Z was still somewhat underpowered when attempting to pull a fully-loaded Me 321 glider. This was rectified through the utilization of rockets for additional thrust (RATO - "Rocket Assisted Take-Off") - not a wholly uncommon sight found at the beginning of the jet age. The Zwilling could, however, maintain flight if any or all of the three central wing cord engines failed - certainly showcasing the importance of the outboard engines. Range could be augmented by up to four external drop tanks which supplied the design its needed endurance. 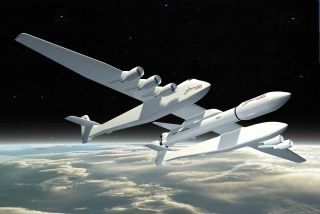 The Stratolaunch is kind of the HE111-Z1 if instead of 5,000 HP worth of piston engines it had 330,000 lb of thrust and instead of towing a big dumb glider, it's lifting 1/3 of a Delta II in launch configuration. Obviously, it works. Obviously, Burt Rutan and crew know hella more about aviation than I do. But Stratolaunch still gives me a real Helistat kinda vibe. I think this is completely valid. Just because it uses the same airspace as a Cessna does not make them equivalent. You don't take malamutes on the subway, you don't try and use chihuahuas to pull sleds.